Photographs by Martin Parr. Text by Phillip Prodger. Contributions by Grayson Perry, Joachim Schmid, and Dayanita Singh. Phaidon, London, United Kingdom, 2019. In English. 240 pp., 220 color illustrations, 8¼x9½". By turns witty, surprising, and ingenious, Martin Parr's photographs reveal the eccentricities of modern life with affection and insight. 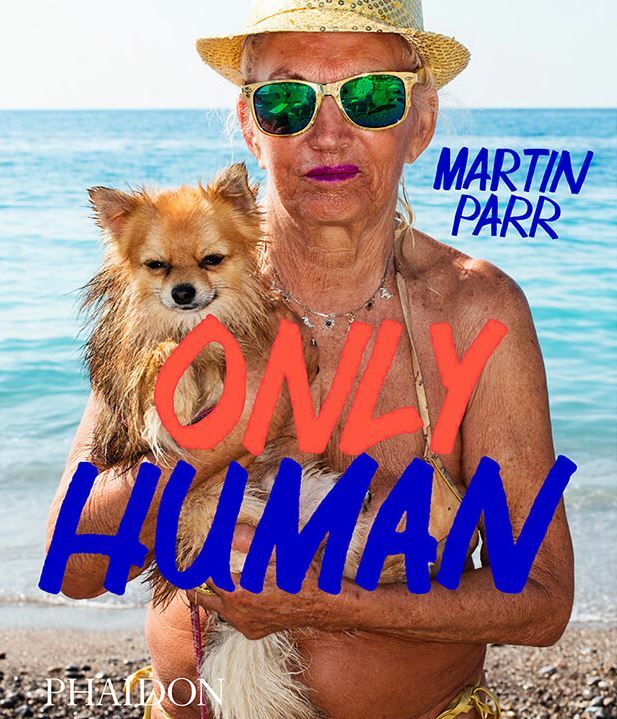 This book—published to coincide both with Parr's 2019 exhibition at London's National Portrait Gallery and the date the UK will leave the EU—examines what it means to be human at a time of both change and retrospection. Focusing on new work from the last twenty years, Only Human explores the concepts of Britishness and identity through the rituals and habits of everyday life. Among the series included: Dance, Britain at the Time of Brexit, and The Establishment, as well as previously unpublished celebrity portraits of Anna Wintour, Pelé, Ai Weiwei, and others. Limited Edition with a choice of one of two signed and numbered color pigment ink prints (see below), each in an edition of 100 copies plus 10 artist's proofs. The signed and numbered book and print are presented in a custom clamshell box. $50.00 additional handling applies to this item. Why additional handling?